This post comes to you today a little unexpectedly. 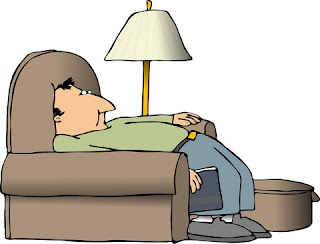 It was left as a comment on A Reading Daydreamer's post Let's Talk about Reading Slumps. I think I've written about it before, but I figure if it could help Beverley, it might help others too? First, try not to feel so guilty. Some slumps for me come on when I'm feeling under pressure to read review books when I really I just want to read a book from the library or something I bought myself. Lose the guilt and read what you want! Second, try something different. I've always found that slumps will come on when I'm reading a lot of the same sort of books. Because I read mostly YA in general, I'll try something different like an adult chick-lit book or something geared at younger than YA. Also, because I generally read actual physical books, sometimes a change in book format will help. Ebooks or audio books make a nice change. Third, try something familiar. Sometimes when I don't feel like reading the hundreds of books that I own and haven't yet read, I like to go back and reread an old favourite. Something I know that I will enjoy and will make me feel happy but also gets me back into reading. Something like Pride and Prejudice or Jane Eyre, which I've read millions of times, or something like Anne of Green Gables which brings back memories of reading the book when I was younger. Fourth, try something really different. Occasionally none of my usual tricks work. I don't feel like reading something different or familiar or anything. But because I am addicted to the written word, I start reading something else entirely. Like magazines. Or cookbooks, or letters or cards that I've collected over the years from family or friends. And sometimes this can spur an interest in reading a particular book, sometimes it doesn't. It can still be fun to do. Fifth, plan. This mostly works just for blogging slumps, but it could work for reading slumps too, I guess? Whenever I'm not in the mood for blogging, I start making lists of blog post ideas to write for when I AM in the mood for blogging. This works especially if I start planning blog post ideas about books. Writing a list of my favourite contemporary YA novels (for example!) makes me remember what I love about YA books and can sometimes help me get back into the mood for reading or blogging again. Lastly, wait it out. This one is frustrating for me, but sometimes it's the only method that works. Just stop forcing the reading or blogging and do other things that you enjoy doing. Watching films/tv, baking, listening to music, play board games, whatever. Just try not to think or worry about reading or blogging and just enjoy life. And eventually, things might balance out again and you'll be in the mood to read again. Yay, I'm glad this post possibly helps.. I think that reading slumps can be kind of inevitable for book bloggers, because of the amount that we read. All your tips are fantastic, the one I tend to do the most to try and cure a slump is reading something familiar, which is usually my favourite chapter from Jellicoe Road. And if that doesn't work, I just have to wait it out, which I do by working on my blog, because it seems to motivate me into reading. Weird, I know, but it works! Aww, you have a favourite chapter from Jellicoe Road? I love that!